As a HSB Shining Light, an annual gift at the $1,000 Lucky Star or $2,500 Shooting Star level helps support patients and their families as they try to navigate the medical system and deal with practical issues surrounding illness. Our Patient Care Service professionals and volunteers help tremendously in this area by going into the homes of our patients and providing clarity during emotional and confusing times. At the Luminary level of $5,000, you help support children who have experienced the loss of a parent or sibling. Our I Have a Friend ® mentor program takes an adult who has experienced a similar loss in their own childhood and matches them with a child. This lasting friendship allows the child to see that life will go on after their loss and that they will recover as their mentor has done. A Guiding Star level annual gift of $10,000 helps provide a safe place where those grieving the loss of a child can discover a safe haven and people who understand this unique and intense pain. At HSB, grieving parents can learn coping skills to help heal the incredible loneliness of grief as well as meeting with others who are dealing with the same loss who can provide a source of understanding. With an annual gift of $25,000 to join the Aurora Borealis level, you help families in which a member has been given a life-threatening diagnosis. Spouses thought they would grow old together and now they are faced with intense sorrow and confusion. How do they shoulder the financial and emotional burden for themselves and their family? Who do they turn to for help navigating the complexities of our medical system so they have the best quality of life possible? Your gift at this level helps our clients to have the best possible opportunity to make the most out of the time they have left. Your investment at the $50,000 Superstar or $100,000 Supernova level works throughout HSB’s system of programs. Your gift shows your commitment to ensuring that every person in our community has the opportunity to face the challenges of mortality with dignity and grace by helping them to explore their fears, heal their sorrow, and to experience a life well lived. Join with hundreds of others throughout our community who have invested in people undergoing a tremendous personal trial and who need you there for them every day, believing in and understanding them, providing them with hope, and showing them a path through the darkness – being a Shining Light. FALL 2017 - Hosted at the Maritime Museum, over 50 guests enjoyed wine and appetizers as they learned more about the important free services of Hospice of Santa Barbara. SPRING 2017 - As a way to recognized their generous key supporters, Hospice of Santa Barbara (HSB) has launched the Shining Light Society for those who have donated $1,000 or more over the past few years or who have made a lifetime gift of more than $20,000 and/or who have made a commitment to HSB in their estate plan. 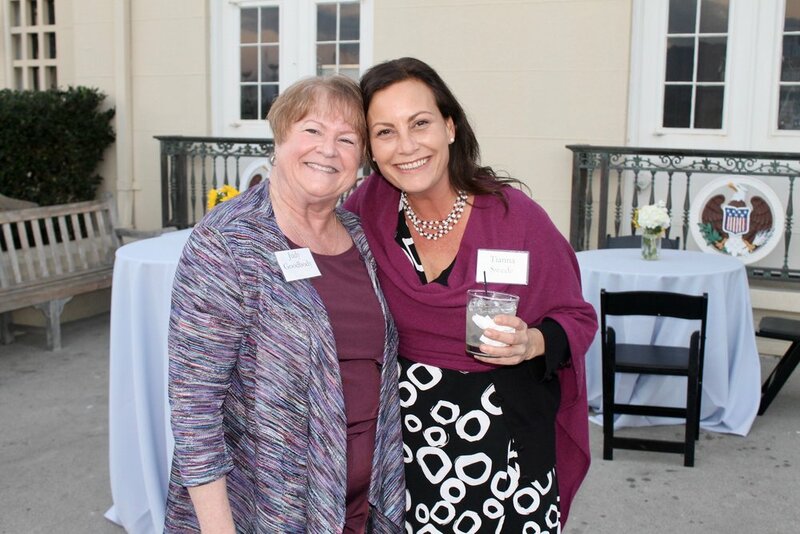 Hosted at the beautiful Hope Ranch home of Dr. Stephen Hosea, over 60 guests enjoyed wine and appetizers as they learned more about the important free services of Hospice of Santa Barbara.